Join us and explore the East Village neighborhood and tantalize your taste buds at selection of restaurants, cafes and a brewery. This evening tasting extravaganza is on Wednesday April 18 from 6pm until 10pm and is presented by Vancouver Foodster. 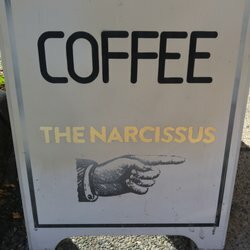 Registration: The Narcissus – this is where you will show us your printed or digital tickets and will pick up your Tasting Plates Passports and menus. offering a unique blend of South American and Canadian flavours! offer a tasty Classic Italian style of pizza, with a lighter thin crust, on offer nightly. Serving the East Village community for over 32 years! All of the products at Italia Bakery are made from scratch, and by hand. They offer a variety of items, from bread and desserts, to an excellent variety of the finest deli meats and cheeses imported from Italy. The original Sicilian cannoli of Vancouver – locally handcrafted for over 32 years. Located in The Arc, on the main floor of this artist hub, it is a unique 2 level cafe filled art and objects; as well as great coffee, backed goods and sandwiches.